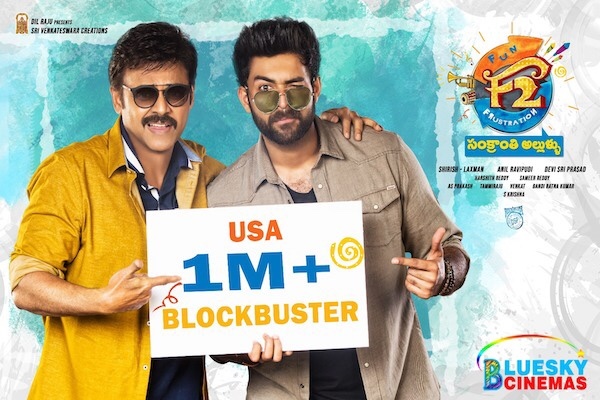 F2 brining lot of laughs to many movie lovers and family members in USA. Audience thoroughly enjoying the movie all over USA. It already crossed one million dollars and still running strong. Due to high demand 30+ new locations have been added starting in which about 20 locations from today Tuesday 1/15 and rest from this Thursday/Friday. Locations opening today, 01/15 Tuesday with Premiere shows at 6 an 9 pm. As today is Tuesday, Enjoy AT&T Buy 1 ticket and Get 1 ticket free for your family member, friend or colleague. Download AT&T Thanks app on your mobile find the theater near to you and buy the ticket to use this offer. This works only for online purchase and valid one offer for one AT&T mobile number. This works for all Cinemark and Regal locations. Also, T-Mobile is giving $5 off for each ticket per each T-Mobile phone number. 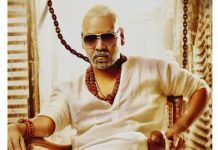 Wish you all movie lovers once again Happy Sankranti. Click Here!! for the Schedules.